The most crucial piece of cricket protective equipment is a cricket helmet and a neckguard. Cricket helmets assist in protecting every cricketer on the field. Batting helmets, Wicketkeeping helmets and fielding helmets are a necessity these days. 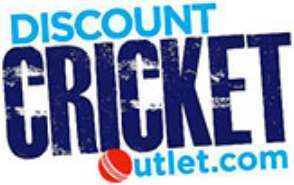 Discount Cricket Outlet stock all the big helmet brands including Masuri and Shrey. We cater for all ages and sizes including over 1000 helmets in stock from small junior to senior helmets. We have the cheapest helmets in the UK with our discounted and sale offering. Masuri's personalised cricket helmet means Club cricketers can wear a top of the range helmet with their club badge embroidered on. We stock products from Shrey, Gunn and Moore, Gray Nicolls, Spartan and Albion. We at Discount Cricket believe the helmet and neckguard are lifesavers. Nothing is more important to a cricketer's bag and we have assisted with pricing where possible to ensure every cricketer can afford a cricket helmet. Masuri continue to raise the standard of helmet safety and are innovating all the time. The Vision Series’ Active Peak Technology (AP-Tech) comes into action when the ball strikes the helmet. The helmet’s peak is deflected upwards, and narrows the gap between the peak and the grill to prevent the ball from reaching the player’s face. This design has been patented, with the feature is exclusive to the wearers of Masuri Vision Series. The Vision Series boasts another unique safety feature – the patented Eye-Line Grille. We have added an extra safety bar to our helmet grilles so that, upon impact, the ball is deflected towards the helmet’s peak. There’s no need to worry about this affecting vision, as the grille sits precisely on the player’s eye-line. The added safety features of the Vision Series allows players the knowledge that they are protected while they play. This range exceeds new safety standards and sets the bar for cricket helmet design. The Shrey Masterclass Air Titanium is currently the lightest helmet on the market to have certified in accordance with Latest British Safety Standards, weighing only 750 Gms. The Shrey Masterclass Air Titanium boasts an Advanced Air Flow System and new improved fixed grill for increased safety. It's increased facial & side protection are also vital for the modern day game. The sweatband is removable and washable and the helmets confirms to the latest ICC/BS 2013 safety standards. The Shrey Masterclass Air Titanium has been improved at the back for increased safety.Currently used by Big Bash cricketers such as: AB De Villiers, Eoin Morgan, Moeen Ali, Virat Kohli, David Miller, Chris Gayle and many more.